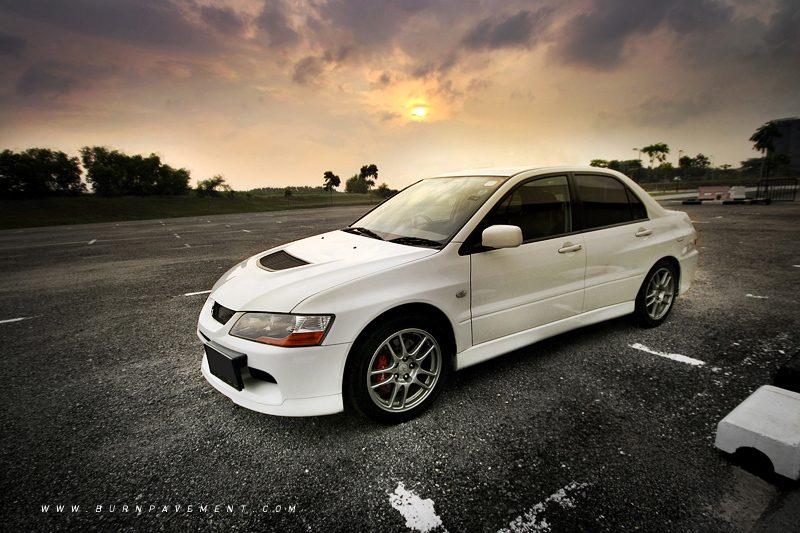 You may notice by now that we at Burnpavement love the Mitsubishi Evolution. 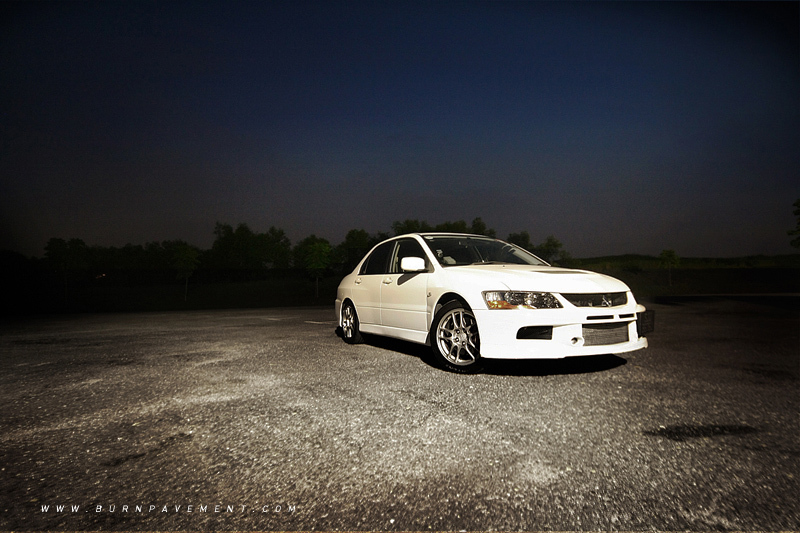 I had the privilege of owning one a few years back and it was a 9th evolution in GSR spec. 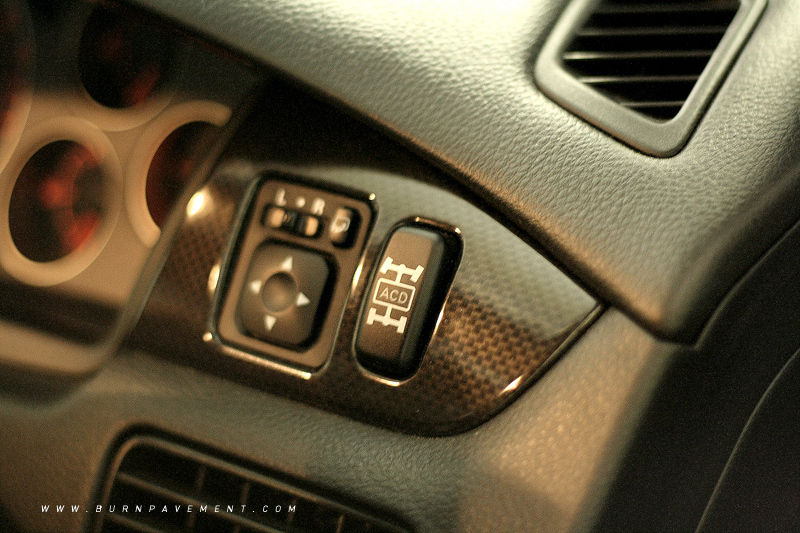 The GSR spec came with a 6-speed gearbox, Bilstein monotube shocks, aluminium roof, and the highly-rated SAYC (Super Active Yaw Control). I loved the car, and miss it dearly till this day. 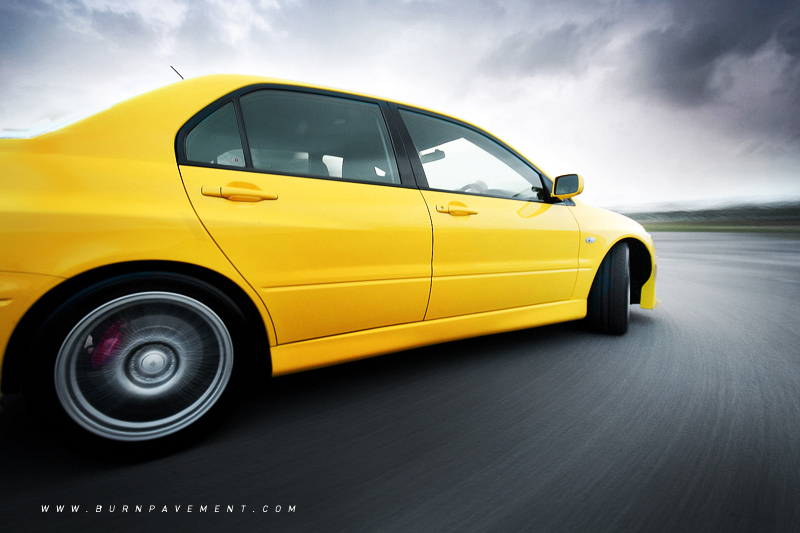 It was quite simply the most potent and capable car I have ever owned, and by God's grace, I have owned many cars. 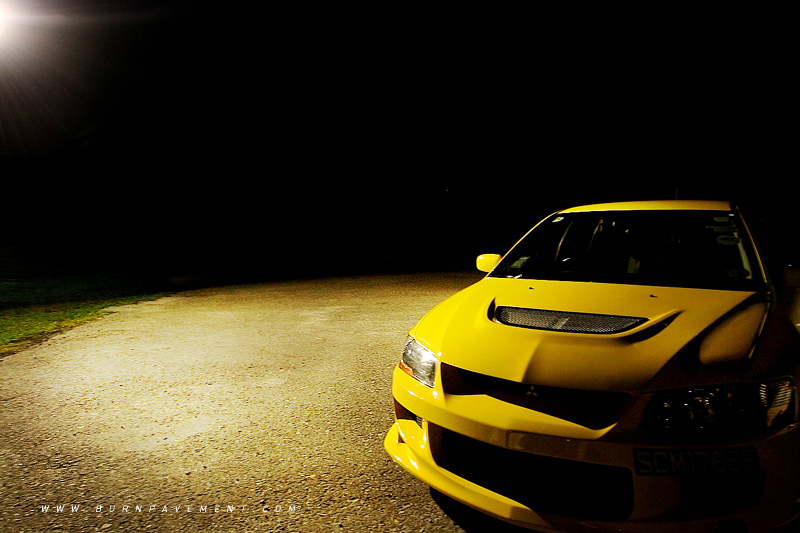 Well our feature cars here belong to 'a man after my own heart', and he has not one but two Evos. 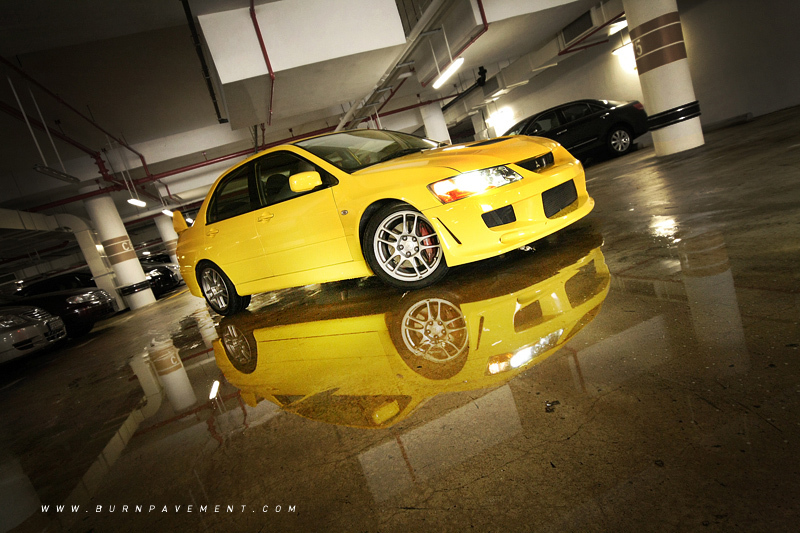 The yellow unit is an Evo VIII GSR and the most 'done up', with an aftermarket front bumper the only mod most visible on the outside. 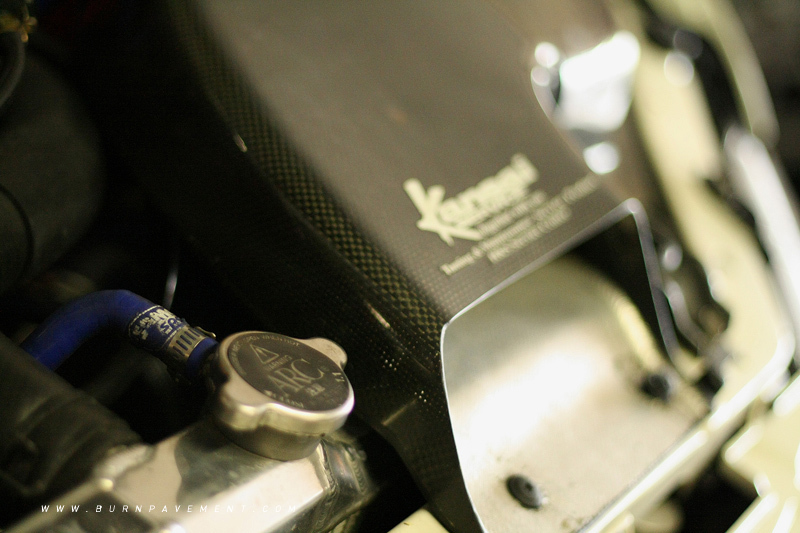 The rest of the work was focused on the engine to liberate more power. 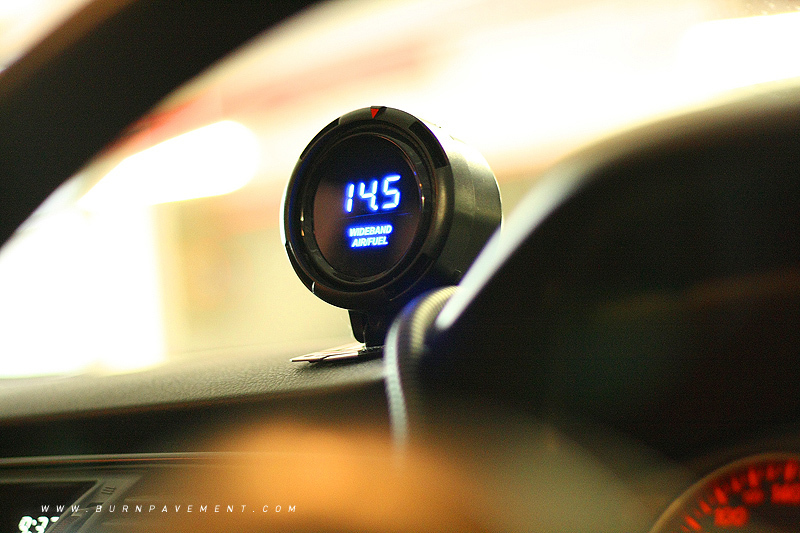 This was done through the fitment of a larger turbo that replaced the stock 16G and new cams. 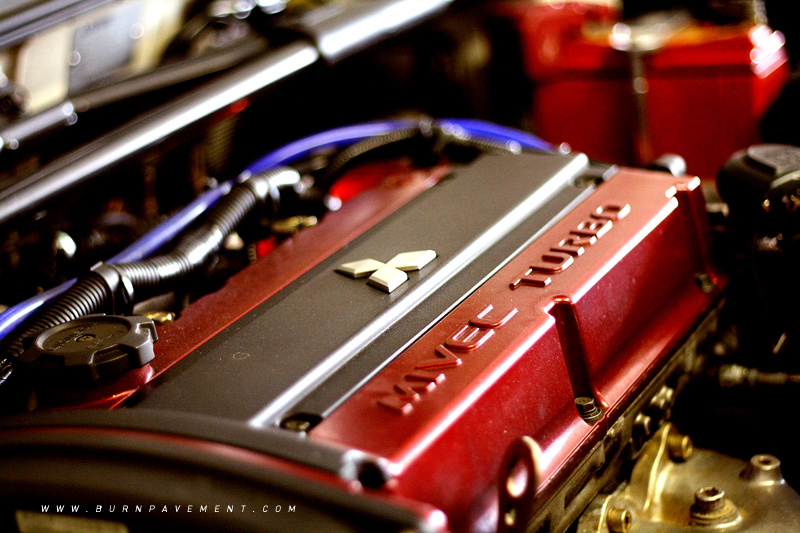 Not forgetting the countless hours spent to precisely tune the engine. 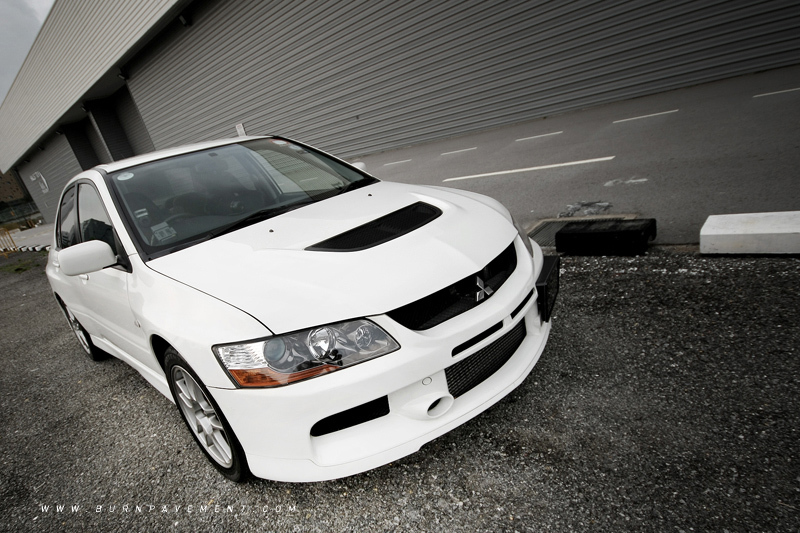 The white unit is a spoiler-less Evo IX GSR, kept pretty much in stock form. It is clean even on the outside, covered in it's pristine white paint, looking more tame and muture without the rear spoiler.